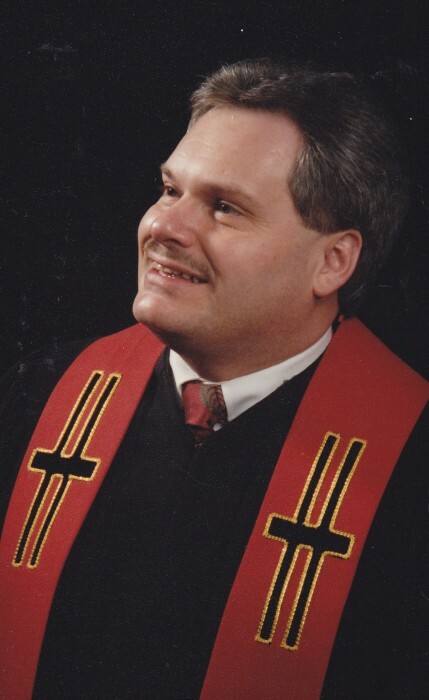 The Reverend Daniel L. Dennis, 67, of Carlisle, a native of rural Shickshinny, died unexpectedly Friday, March 29, 2019 at his Carlisle home. Born March 20, 1952 at the Nanticoke Hospital, he was the son of Derl L. Dennis, of rural Shickshinny and the late Carmen J. (Fritz) Dennis, who died July 3, 2005. His career spanned 43 years as a United Methodist Minister. In 2007, he began his pastorate at Otterbein United Methodist Church until his retirement on July 1, 2018. While at Otterbein, in 2014, he was instrumental with the "Bright Beginnings Child Care" program at the Church. He also pastored churches in Port Trevorton and Berwick before being appointed District Superintendent, (York district), a post he held for six years. He oversaw 70 churches with more than 20,000 members. He received the Harry Denman Award for Evangelism, traveled to central Mexico on three mission trips, served as an emergency medical technician for 12 years, served on the American Red Cross, YMCA and United Methodist Children's Home in Mechanicsburg boards, and officiated at more than 300 weddings and 500 funerals. He enjoyed antique shows and auctions and attending musical performances. Surviving are his father, Derl L. Dennis and his long-time acquaintances and special friends: Doloris Kittle, Mary Jane Ulsch, Dennis Frymoyer and Joe Kugel as well as numerous cousins. Funeral Services will be held Thursday, April 4, 2019 at 11 A. M. at the Town Hill United Methodist Church, 417 Town Hill Road, Shickshinny. Burial will be in the Pine Grove Cemetery, Harveyville. A Visitation will be held Thursday from 10 AM until the time of the service at the Church. In lieu of flowers, contributions may be made in his memory to the Town Hill United Methodist Church, 417 Town Hill Road, Shickshinny, PA 18655 or to the Otterbein United Methodist Church, 647 Forge Road, Carlisle, PA 17015 or to a Church of the donor's choice.